I was invited to the last two Mozilla Summits but I always missed it. This year, I finally be able to attend the Summit. 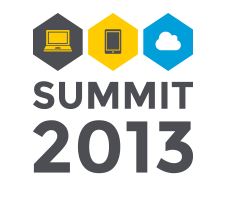 So what is Mozilla Summit? The apparent approximation of the Summit would be to think of it as a three-day festival, to celebrate what we want to achieve and also to reaffirm our Mission; however, Summit is way, way more than that. I am humbled and comforted by the fact I got to engage in many high-level, philosophical conversations about Mozilla and the Mission itself, in a lot of breakout sessions. Some of the questions being bought up were fundamental questions like what is a Mozillian, challenges of communicate the vision to the boarder audiences like the general users (kudos to @potch on many of his insight comments), to practical questions like how to work with closed mobile industry partners, and our challenges with our current position in the mobile market, and internal organization. These are all important conversations that I have little chance to talk about in the office, given the fact we are all caught up in daily work. To my embarrassment, I feel I should ask forgiveness on being cynical in conversations. Nonetheless, to me, it’s more important to know how we are doing than why. The summit shouldn’t be a three-day religious or self-reinforcing event where only the good news were told; I am really glad it didn’t being hold like this for the majority of the time spent. To my relieve, I am also happy to find out most of people are much more energetic and optimistic about how we are doing, and much more hopeful on whether or not we will getting there, and devoting their thoughts on what we could do more to get there. During the keynote, the main message of the Summit given was “We’re here to build an Internet the world needs.”. I totally agree that Mozilla should expand it’s mission from simply Open Web to Open Internet, although my question about Open Hardware being the foundation of Open Internet and another eventual goal of the project was not being picked up during the QA session. I’ve also heard little discussions (expect DRM) on some of our seemly conflicting means to reach the end, which, arguably, is a good thing (because that means most of us in the Summit agrees the Mozilla way — making concessions in order to gain future influences). 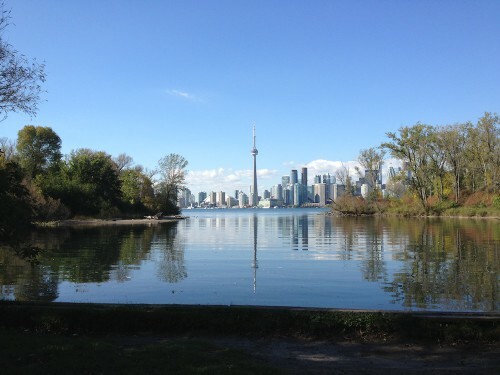 On topics unrelated to the Summit directly: I found that Toronto is a really lucky city, being gifted to have the off-shore Toronto islands that serves as a getaways and an “central park”. The city itself is a bit chaotic though as they were constructions around the Union station. However the 12 hours time difference stuck me hard; I missed a few night events because I was so tired that I had to crush to bed. By the way, best wishes to Margaret and Gavin 😀 They were call up to the stage by Jay during closing in Toronto on their #MozLove: they first met on Summit 2010 and got engaged last week. I am pretty sure they weren’t the first ones and they won’t be the last ones. That’s us, we are the hopelessly idealistic, happy, and innocent, Mozillians. This entry was posted in Internet, Journal, Thoughts and tagged Planet Mozilla, Planet MozTW. Bookmark the permalink. Share the short link.